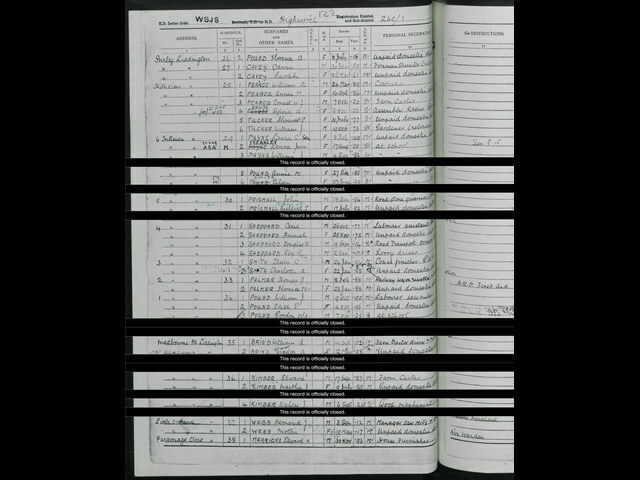 [S391] 1939 Register, findmypast & The National Archives of Great Britain, (findmypast) (Reliability: 3), 1939. Ernest W J Pearce Date of Birth 07 Oct 1920, Occupation Farm Carter. [S397] England and Wales Deaths 1837 - 2007, Wiltshire, Vol 23, Page 2131 (Reliability: 3), 1974.